Wed., 8 Jan. - Sun., 12 Jan. Tue., 25 Feb. - Tue., 3 Mar. Mon., 9 Sep. - Tue., 17 Sep. Sat., 11 Jan. - Sat., 25 Jan. Tue., 10 Sep. - Sun., 15 Sep. Mon., 9 Sep. - Mon., 16 Sep. Sat., 4 Jan. - Sun., 12 Jan.
Wed., 4 Mar. - Fri., 13 Mar. Mon., 9 Sep. - Fri., 13 Sep. Mon., 14 Oct. - Fri., 18 Oct.
Wed., 12 Jun. - Sat., 22 Jun. Situated in Daytona Beach, this hotel is within a 15-minute walk of Volusia Mall and Richard Petty Driving Experience. Daytona International Speedway and MOAS Museum of Arts and Sciences are also within 3 mi (5 km). 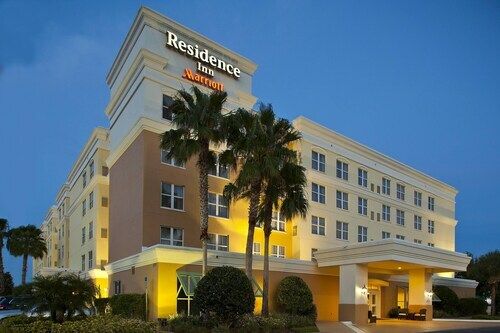 Situated near the airport, this hotel is within 1 mi (2 km) of Volusia Mall and Embry-Riddle Aeronautical University. Daytona International Speedway is 2 mi (3.3 km) away. Situated in Daytona Beach, this hotel is 0.3 mi (0.5 km) from Dale Earnhardt Sr. Statue and within 3 mi (5 km) of Embry-Riddle Aeronautical University and Daytona International Speedway. Volusia Mall and Richard Petty Driving Experience are also within 15 minutes. Situated near the airport, this hotel is 0.2 mi (0.3 km) from Dale Earnhardt Sr. Statue and within 3 mi (5 km) of Embry-Riddle Aeronautical University and Daytona International Speedway. Volusia Mall and Richard Petty Driving Experience are also within 10 minutes. 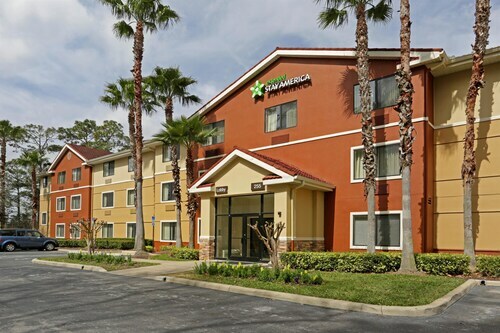 Situated in Daytona Beach, this hotel is 0.6 mi (1 km) from Daytona Flea and Farmers Market and 3 mi (4.9 km) from Daytona International Speedway. Daytona 500 Experience and Daytona Beach Kennel Club and Poker Room are also within 1 mi (2 km). Situated near the airport, this hotel is within 1 mi (2 km) of Daytona Flea and Farmers Market, Daytona Beach Kennel Club and Poker Room, and Daytona 500 Experience. Speed Zone and Richard Petty Driving Experience are also within 2 mi (3 km). Situated in Daytona Beach, this hotel is within 1 mi (2 km) of Volusia Mall and Richard Petty Driving Experience. MOAS Museum of Arts and Sciences and Daytona International Speedway are also within 3 mi (5 km). 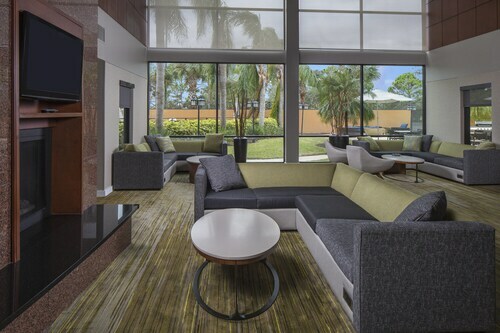 Situated near the airport, this hotel is 0.2 mi (0.3 km) from Richard Petty Driving Experience and within 3 mi (5 km) of Embry-Riddle Aeronautical University and Daytona International Speedway. Dale Earnhardt Sr. Statue and Volusia Mall are also within 15 minutes.